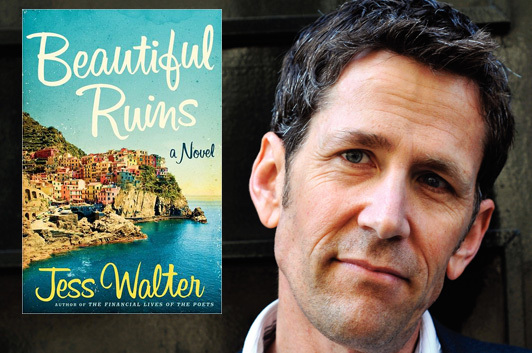 But a lot of the things we touched upon in that interview are connected to the reasons that you really ought to read Beautiful Ruins, starting with the fact that it’s a wonderful story, unlike anything Walter has ever done before. 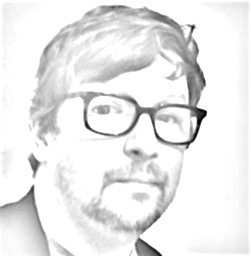 In fact, we started out by talking a little bit about how he’d gotten his first book deal for a nonfiction book about the Ruby Ridge standoff, which he had covered for the Spokane newspaper. He could’ve built up a portfolio of true crime books after that, but instead (after co-authoring Christopher Darden’s memoir) he segued into writing crime fiction, winning an Edgar for his third novel, Citizen Vince. The novel after that, The Zero, had its noirish elements, but was quickly noticed for its literary qualities, earning a nomination for the National Book Award. And the novels since then, The Finanical Lives of the Poets and now Beautiful Ruins… well, one way of looking at would be to say that he’s moved even further away from his roots, but he talked to me about the continuity he saw in them, that he had always been focused on the story rather than on the genre. And we talked about how he was in the fortunate position of having publishers who supported a creative path that might not necessarily be easily marketable… except, of course, that “he’s really good, and can totally surprise you” is actually marketable, to the right readers. Beautiful Ruins, I found out, is a story that he’d been working on for years, in bits and pieces, which is why it has so many disparate plot elements. There’s the young man in a remote Italian coastal village whose life is transformed by the arrival of a mysterious actress in the 1960s, the modern story about a once-idealistic assistant to a veteran film producer who’s just about ready to bail on the industry, the failed novelist who’s finagled his way into the producer’s office to pitch his screenplay about the Donner Party, a washed-up indie rocker who has a chance to reinvent himself at the Edinburgh Fringe Festival… and what’s the biggest movie that was filming in Italy in 1962? Because that’s a crucial part of the story, too. It sounds like a jumble, but Walter fits it all together perfectly, in what’s both his most structurally complex novel to date and his most commercially accessible, a romantic melodrama that cheerfully acknowledges its cynical edges—and you’re delighted to be let in on the joke, even as you’re holding your breath waiting to find out what the deal is with that mysterious actress, now that the Italian man (who’s also shown up at the producer’s office) is finally looking for her. It all works because the characters work: Walter does a fantastic job of getting inside everybody’s head in turn, giving them distinct personalities and making us care about whether they get what they want… even tricking us a few times. The canny producer, Michael Deane, was one of my favorite characters, and one of the things I talked about with Walter was how he fools us into thinking we know where Michael’s character arc is headed, maybe more than once. We wound up talking about one chapter, in the middle of the novel, which recounts the 1960s subplot from Michael’s point of view, in the form of a section from the rejected first draft of his memoirs. As he was telling me about getting into Michael’s voice, Walter noted that there aren’t any commas in that chapter, something I hadn’t even noticed. (Well, it’s not the sort of thing you’re supposed to notice—I mean, it’s not like leaving out the letter e.) From there, we discussed how every one of his novels has had some sort of “writing challenge” like that, like writing in blank verse for The Financial Lives of the Poets (and how he turned not being a good poet into an advantage, by making sure his character was an even worse one). Basically, Beautiful Ruins is one of the most entertaining novels that I’ve had the opportunity to read in 2012—technically sophisticated, but also just sheer fun. I loved it, and I hope that a lot of you will love it, too.